Now my original goal included having a social graph in there too: the "friends" relationships for different twitterers could be interesting too. Friends are essentially two-way follow-relationships - where two handles follow each other, thereby indicating some kind of closer relationship. It's neatly explained over here. So how to get to those? Well, I did some research, and while there are multiple options, my conclusion was that really you would need to have a script that would talk to the twitter API. And since we also know that IANAP (I AM Not A Programmer), I would probably need a little help from my friends. Turns out that my friend and colleague Mark Needham had already done some work on a very similar topic: he had developed a set of Python scripts that used the Tweepy library for reading from the Twitter API, and Nigel Small's Py2Neo for writing to Neo4j. So I started looking at these and found them surprisingly easy to follow. 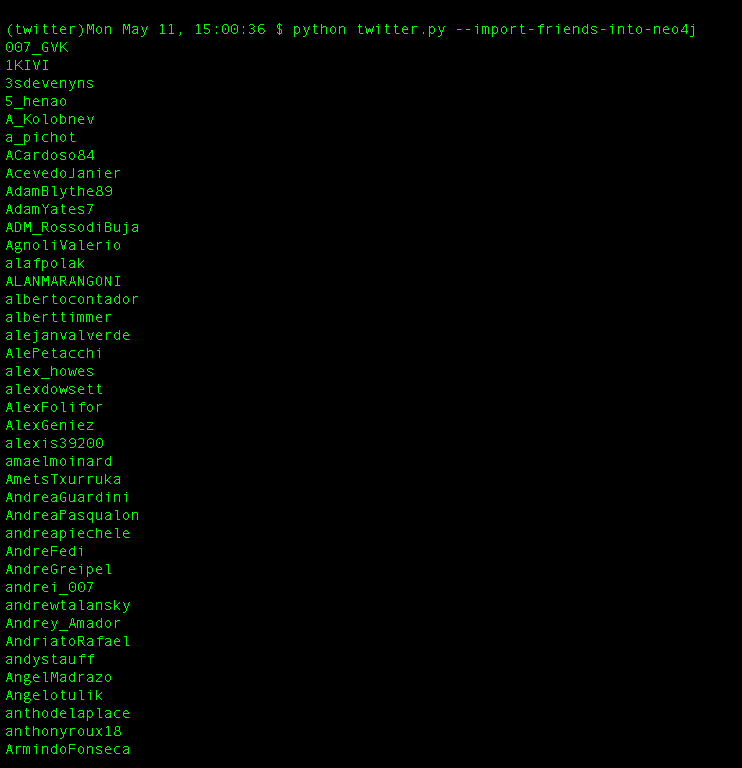 I tweaked this one to "download all user friends" from the users.csv file. The new command is below. 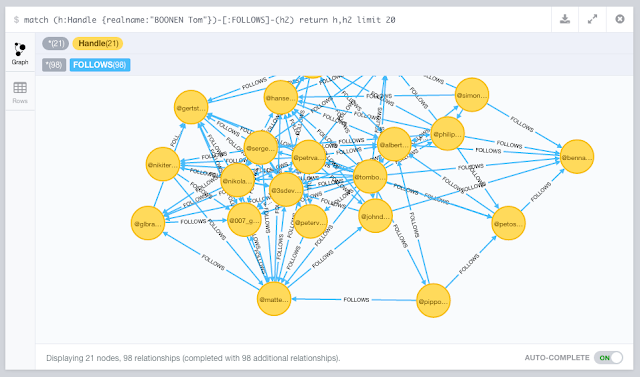 --import-profiles-into-neo4jI tweaked this one to "import all friends into neo4j" from the .json files in the ./friends directory. The new command is also below. 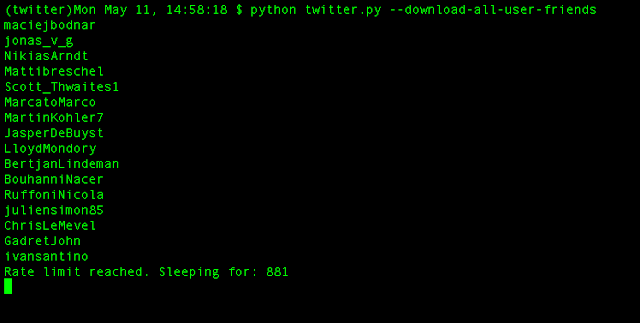 That way, our python script can read stuff directly from the Twitter API. 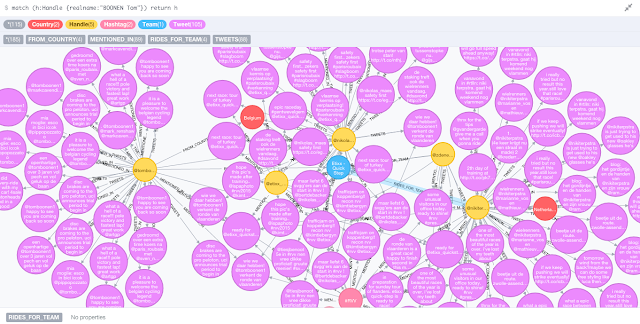 Don't forget to "source" the credentials, as explained on Mark's readme. 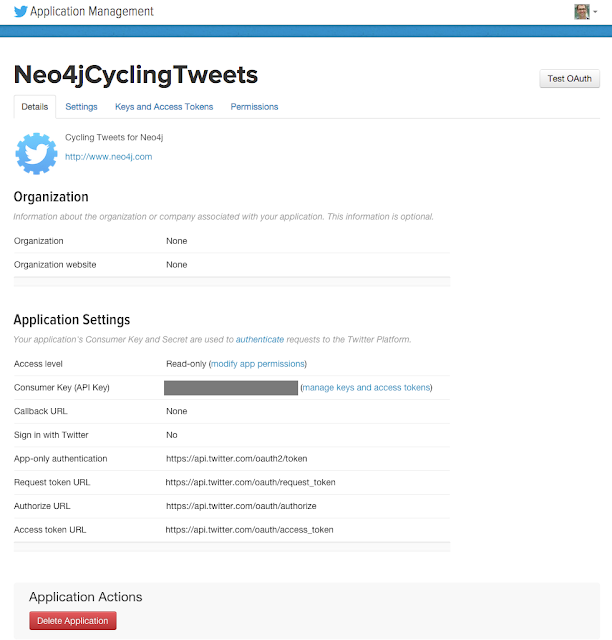 This one talks to the Twitter API, and downloads the friends of all the users that it found in the users.csv file. I generated that file based on the CQ ranking spreadsheet that I had created earlier. 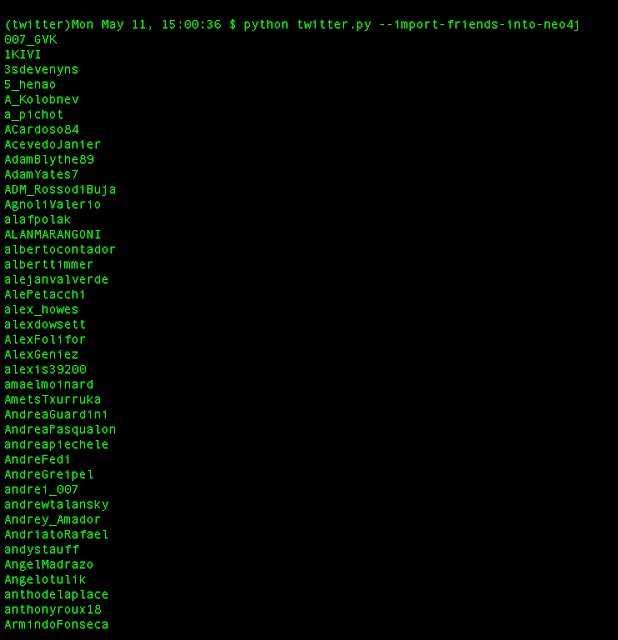 So essentially this finds the screenName (aka the "handle"), adds the twitterId to the screenName, and then adds the "FOLLOWS" relationships between that handle and the friends of that handle. Pretty sweet. This is pretty much what I set out to create in the first place, but thanks to the combination of the import (part 2) and this Python script - I have actually got a whole lot more info in my dataset. Some very cool stuff. 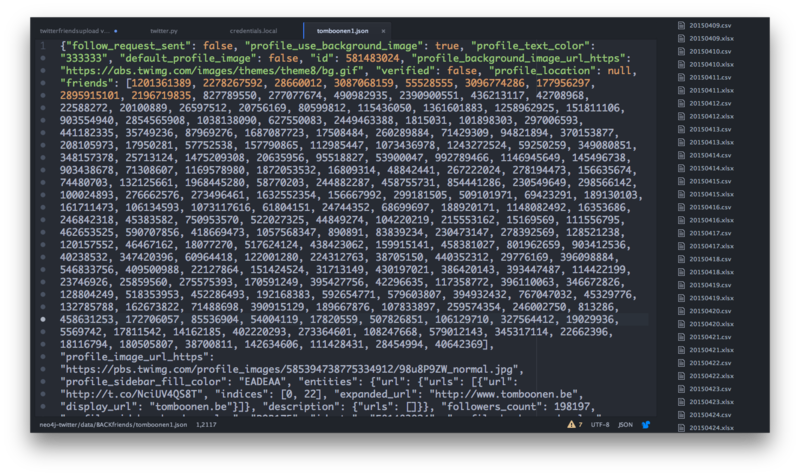 Hope you liked this 3rd part of this blogpost series. There's so much more we could do so - so look out for part 4 soon!